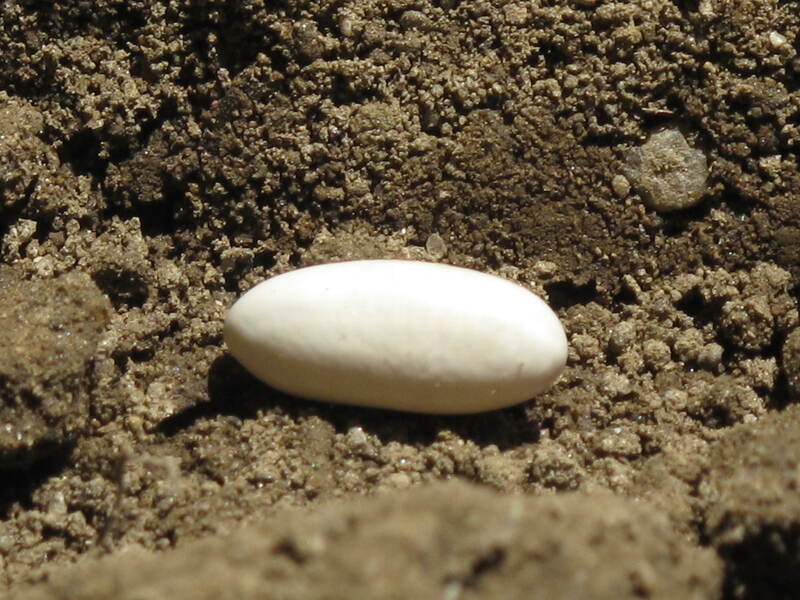 First planted seed of 2012 in my garden – it’s a green bean seed. What types of vegetables do I like to eat? Of these vegetables, which ones can I plant knowing they will give me a fair return? I do not want to plant something that only produces two or three items in a season. I want volume from the plants I grow in my garden. Is there anything exotic out there to grow that I would like to tackle this season? This year the answer was artichokes. Mayfair Shell Peas – this is my first year planting shell peas. I am going to have them grow up a piece of livestock paneling that I bought at a local farm implement store. Three Root Grex Beet – multi-colored beets all in one seed packet. Imperial Star Globe Artichokes** – my experiment this year. Already, the two artichoke plants seem to be the most hearty in the garden. Mariana Tomato** – supposed to provide a superior tomato for sauce and salsa. ** = seeds were planted early Spring and grown into plants under my grow light. 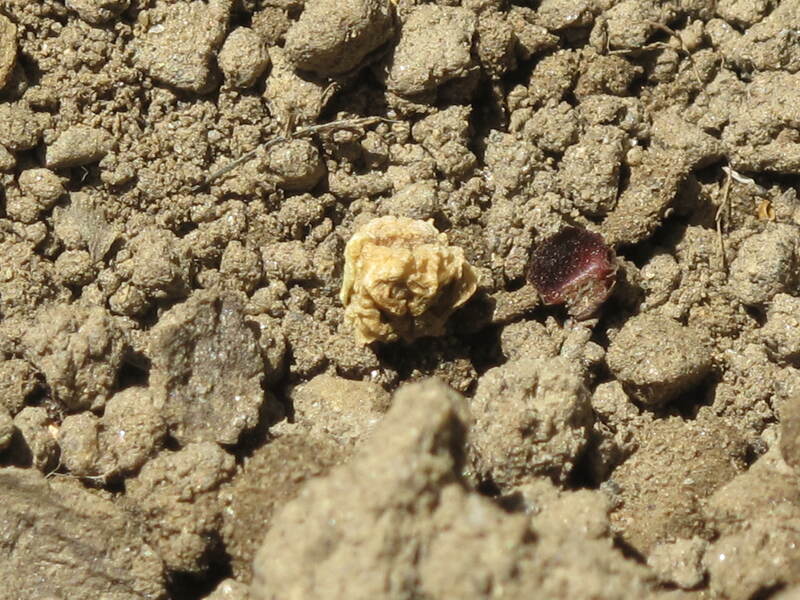 I am glad to say that all of the seeds and plants are in the ground and just need to grow. As well, I appreciated the fact that my two new beds are built so I can go on all sides of the two rectangles with ease. My old garden didn’t allow for easy access to all sides of the beds. Here’s hoping for a strong growing season this year! How is your garden growing so far this season? All lined up and ready to grow. 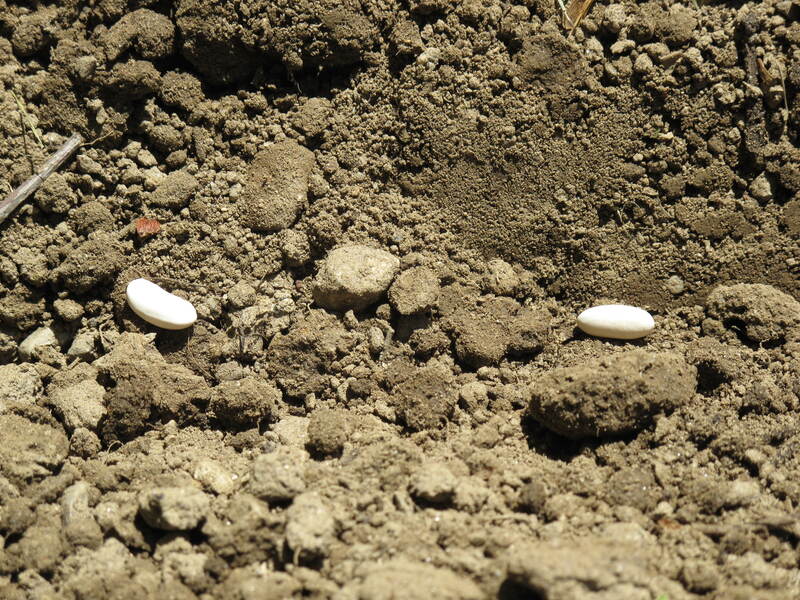 Two more green bean seeds placed in my garden. Can’t wait for followup pictures! Gonna be delish!